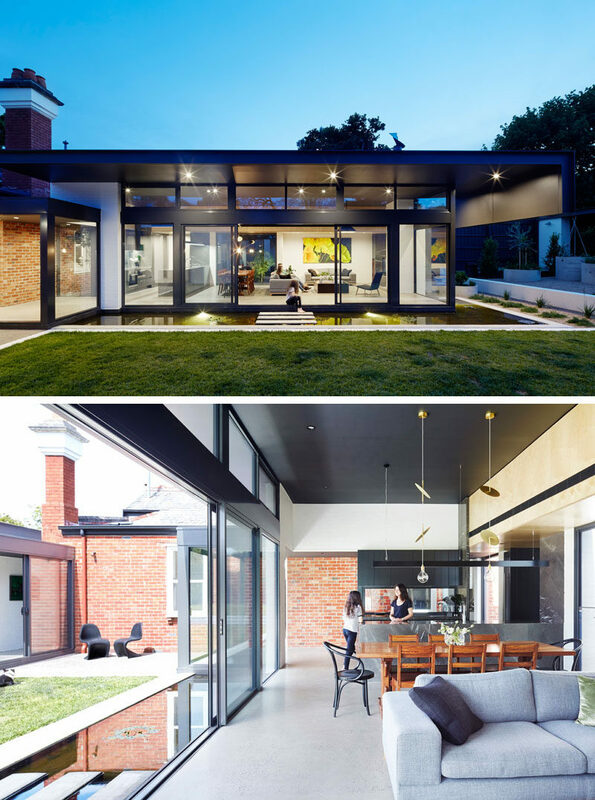 Nic Owen Architects have recently completed a modern extension on ‘Marrandillas’, a 117 year old Edwardian manor, located in the suburbs of Melbourne, Australia. 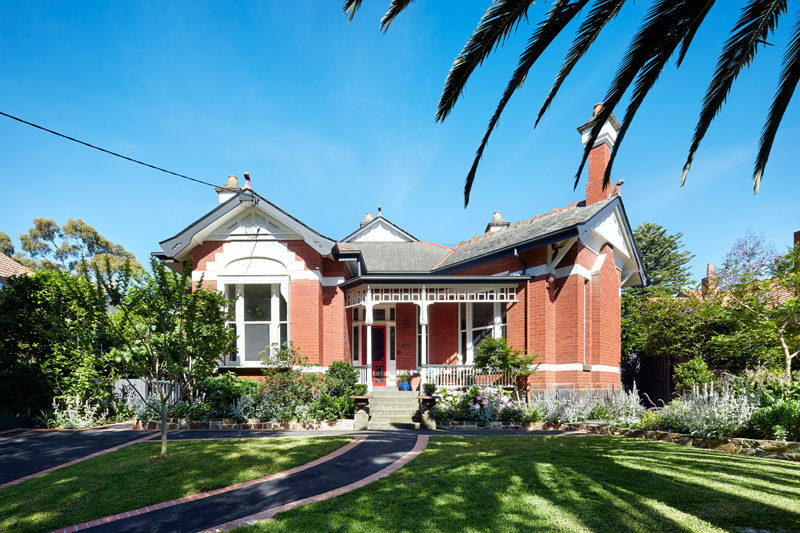 The house, untouched for over 50 years, was purchased by a family of five that had been dreaming of living on this street and in this house for many years. 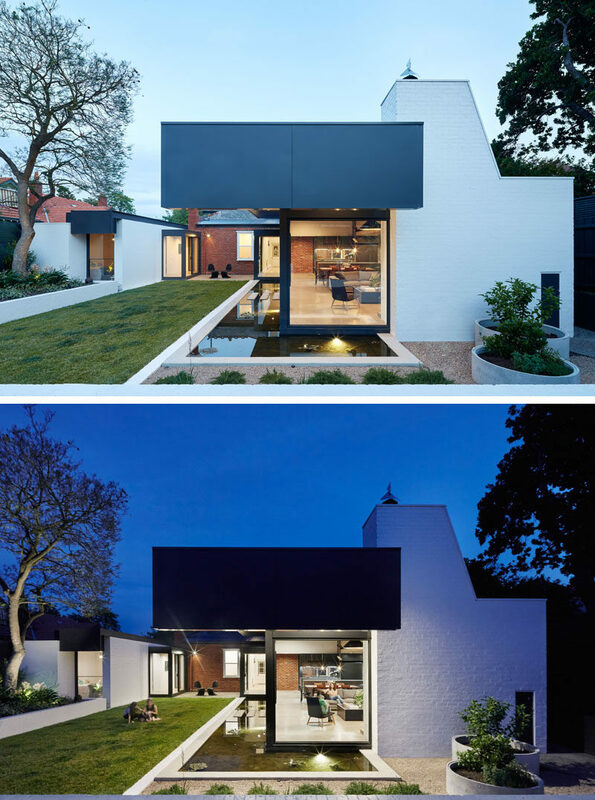 Due to the family needing more space, they decided to add an extension at the rear of the house, which is not visible from the street. 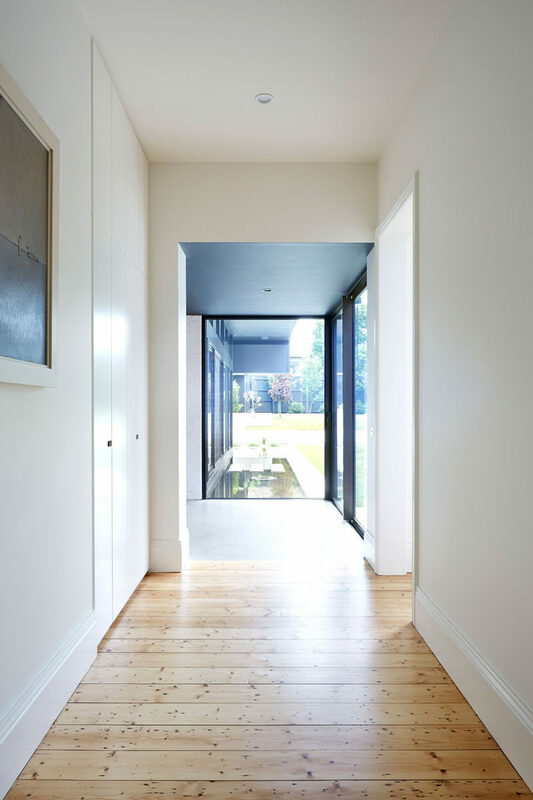 Inside the home, there’s a hallway that leads through the original house to the new ‘pod’ extensions at the back. 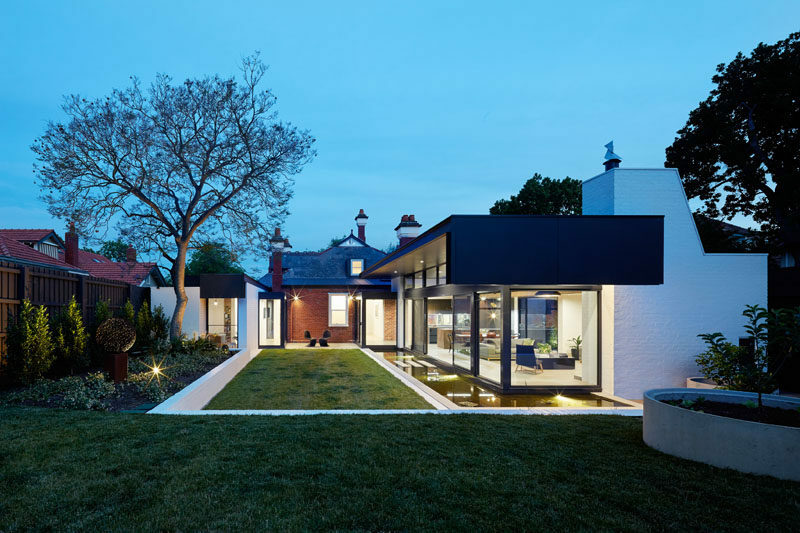 The ‘pods’ are are connected to the house via glass walkways to ensure that the old and new parts of the house are easily identifiable and the original house is respected. 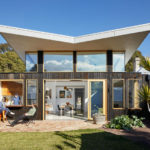 The two ‘pods’ are separated by a garden and small patio area, with them both having flat roofs which extend to provide shade from the hot afternoon sun. 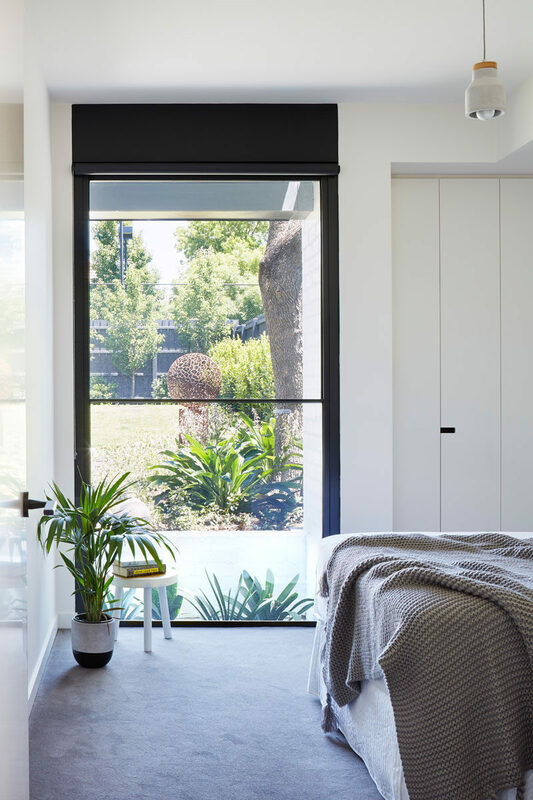 The ‘pod’ on the left is home to two new bedrooms, with one of them looking out to the garden through a vertical window. 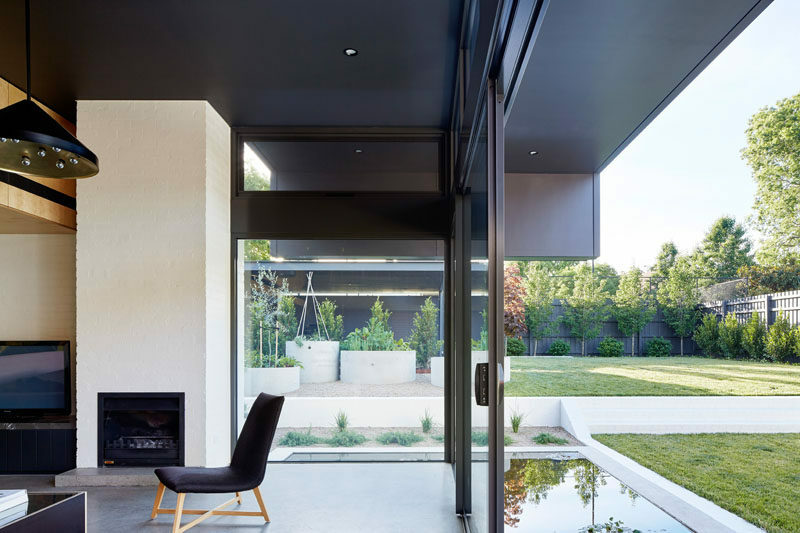 Here’s a look at the black framed vertical window that perfectly highlights a sculpture named ‘Chartreuse Ballerinas’ by John Cerlienco, that resembles a man-made version of the Jacaranda tree, also featured in the backyard. In the other ‘pod’ there’s a living room, dining area and a kitchen. 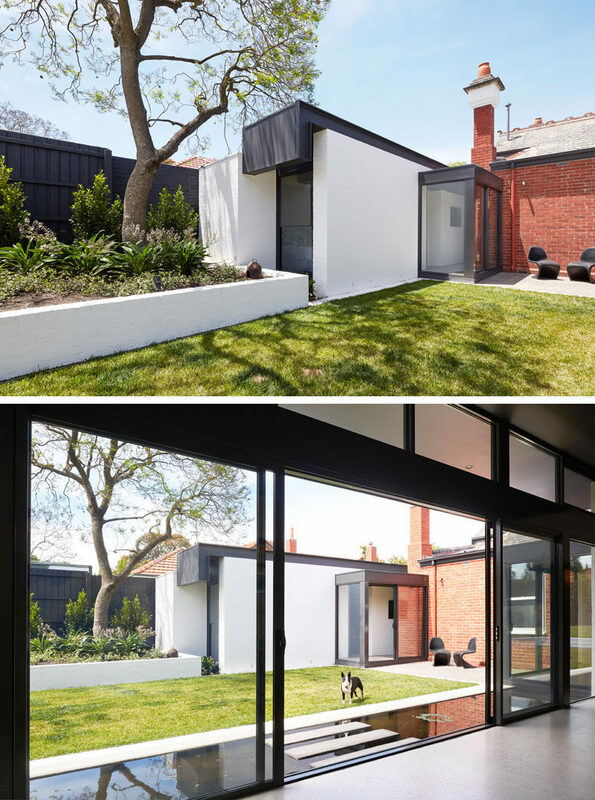 You can see how the back wall of the original home is still visible in the new extension. 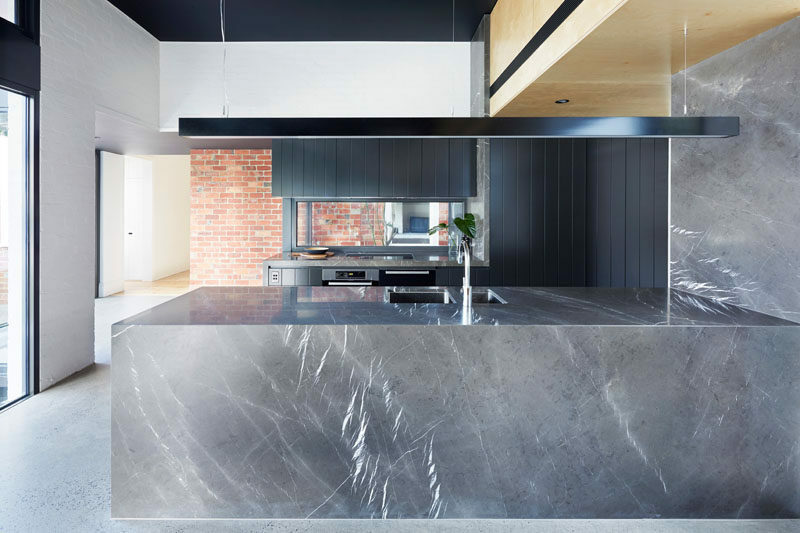 The kitchen has a color palette of grey and black, with a long horizontal lamp hanging above one side of the kitchen. In the living room, there’s a fireplace, and large sliding door can be opened on a nice day. At the family’s request, a calming reflection pond was added to the main living ‘pod’. The pond is home to 15 comet goldfish, and small stepping stones connect the living area to the garden. The pond also helps to cool the interior on hot days. 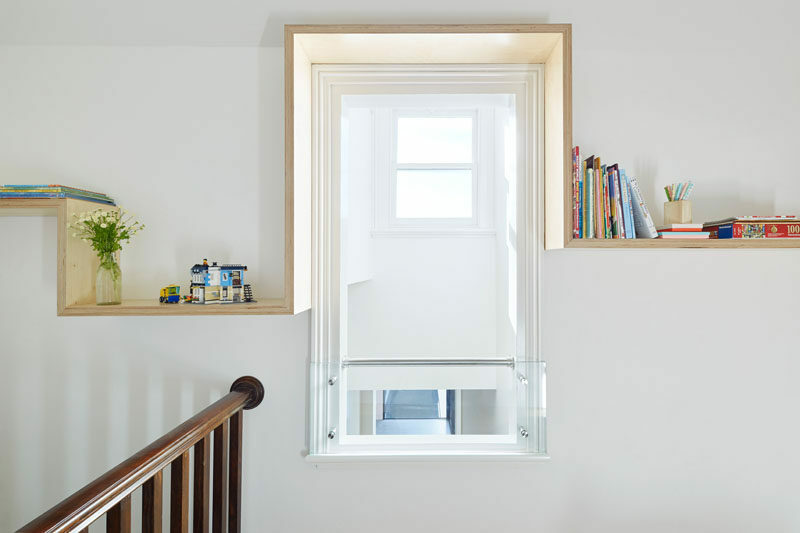 Also spotted inside the house is this contemporary addition to an otherwise original window. Simple wood shelving has been added to the wall to perfectly frame the window and provide a place to store books and decorative objects.